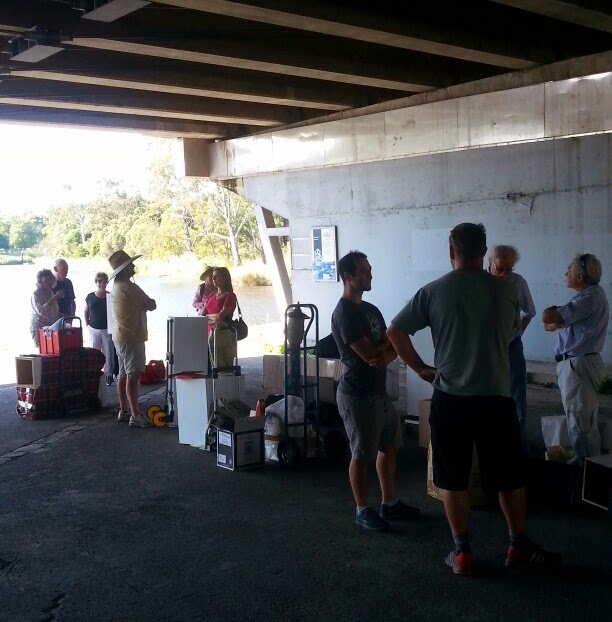 Herring Island Summer Arts Festival: Underneath the Freeway - and what is in the boxes? Underneath the Freeway - and what is in the boxes? All these sculptors were waiting to go across to Herring Island - so what is in the boxes and bundles? It looks good in the gallery so be there for the launch of the festival at noon tomorrow!